Phoolka said, "I have resigned from AAP & handed over resignation to Kejriwal Ji today. Though he asked me not to resign but I insisted." New Delhi: Aam Aadmi Party (AAP) lawmaker HS Phoolka tendered his resignation from the party on Thursday. The senior advocate has handed over his resignation to party chief Arvind Kejriwal. The move comes amid speculation over the possibility of an alliance between the Congress and the AAP for the 2019 Lok Sabha polls. In a tweet, Phoolka said he will explain the reason behind the move in a press briefing in Delhi Friday. “I have resigned from AAP & handed over resignation to Kejriwal Ji today. Though he asked me not to resign but I insisted. Will be briefing media tomorrow at 4 PM at Press Club, Raisina Rd, New Delhi to explain the Reason of leaving AAP & my further plans,” he wrote on Twitter. The AAP has not denied alliance prospects with the Congress, saying its political affairs committee will take a call after considering the opinion of its leaders and workers from Delhi, Punjab and Haryana. Former Congress leader Sajjan Kumar was recently convicted in an anti-Sikh riot case by the Delhi High Court, where Phoolka represented the victims. Phoolka who had stepped down from the Punjab assembly as Member of Legislative Assembly (MLA) in October last year. 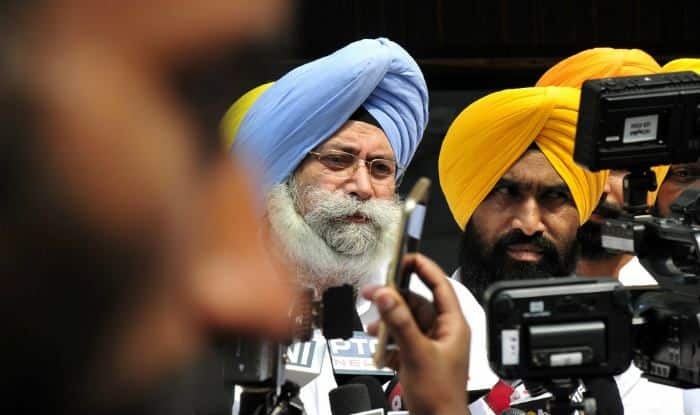 Phoolka had said he submitted a letter to Rana KP Singh, informing Singh that he would not rethink his resignation. He had also said that Singh assured him that his decision would be considered. “Today I am appearing in person to communicate that I have resigned as a Member of Legislative Assembly and request you to kindly accept my resignation. After accepting my resignation, kindly inform the House during ensuing Session which is commencing from December 13,” he added. If his resignation is accepted, the Aam Aadmi Party’s strength in the state assembly will drop to 19 MLAs, eight of whom have formed a rebel group led by Sukhpal Singh Khaira.